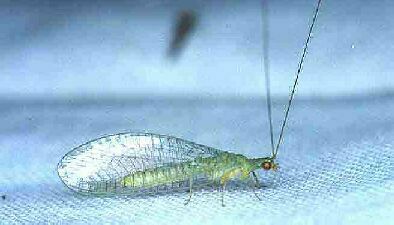 Green Lacewings are common throughout North America, and many other parts of the world. They are usually seen in weeds and grass, or on trees and shrubs. They eat small insects, such as aphids. In fact, their larva prey on aphids so much that they are called aphid lions! They are seen usually between May and August.